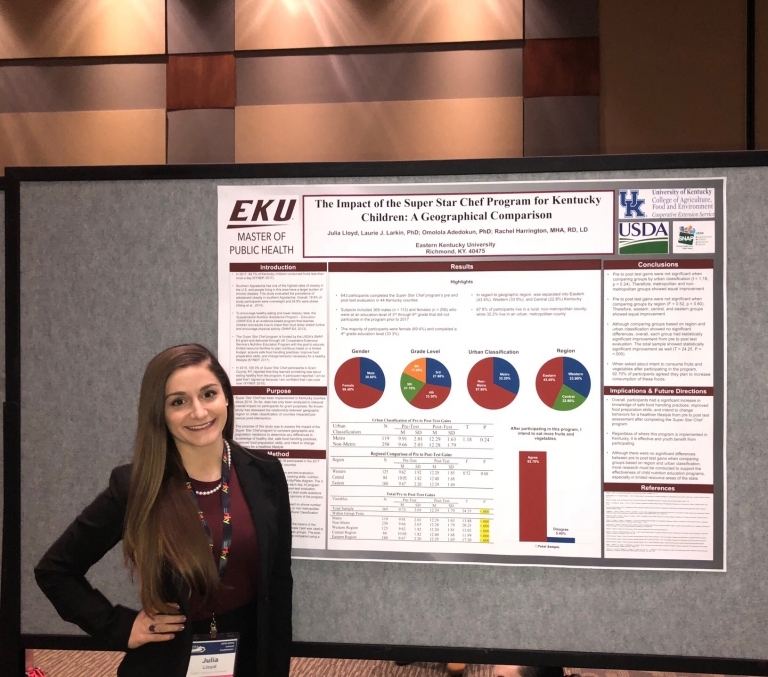 An individual wishing to take graduate courses at EKU for personal or professional development, but who does not plan to pursue a graduate degree program, may be admitted as a non-degree student. A non-degree status does not allow admission into a degree program. A new admissions application would be required for admission into a degree seeking program. Non-degree students must hold a baccalaureate degree from an accredited institution and must have a minimum overall undergraduate grade point average of 2.0 (4.0 = A). Students admitted to the Graduate School as non-degree are not eligible for any type of student financial aid. Students in need of financial aid to continue their education should not apply as Non Degree. **Acceptance as a Non-Degree student does not guarantee admission into a degree program. Submit an official undergraduate transcript (unless an EKU graduate). A maximum of twelve credit hours earned as a Non-Degree student can be transferred into a degree program (some programs may accept fewer). An individual wishing to take graduate courses as a part of initial or additional certification programs, or Rank I classification programs, is eligible for certification admission. However, students pursuing only Rank I are not eligible for Financial Aid. A former or currently enrolled certification student who wants to apply for admission to a graduate degree program must submit an application for admission and all supporting documents as listed in the Graduate Catalog under the section APPLICATION TO THE GRADUATE SCHOOL. Admission as a certification or general non-degree student does not guarantee subsequent clear admission into a graduate program. Graduate credit earned as a certification or general non-degree student may be applied to a degree program only when the student meets all the minimum admission requirements; is granted clear admission after initial application; and approval is granted by the appropriate department, the college dean, and the Dean of Graduate Education and Research. Normally, no more than twelve semester hours of work earned as a certification or general non-degree student may be applied to a graduate degree. Only courses with 3.0 or above earned grade points may be applied, although a grade in any course taken as a certification or general non-degree student will be considered in computing a student's overall grade point average. Have either an official transcript indicating the awarding of the baccalaureate or advanced degree or Visiting Student Certificate sent from your current institution. The Visiting Student Certificate must bear the seal of the Graduate School and the signature of the Graduate Dean where the student has been admitted. Graduate Students of EKU who wish to attend another University and transfer credits back into their EKU program must be issued an EKU Visiting Student Certificate by the Graduate School. A limit of 12 semester hours of graduate coursework from any other institution may be applied toward an EKU graduate degree. Transfer courses must be approved by the student's graduate program and the EKU Graduate School. Visiting Student status is ony applicable for one semester. Students must contact the Graduate School for additional enrollments.